Just as your car’s power is limited by its engine, your website’s power is limited by the web host it runs on. We’ve worked with well over 20 hosts, and Flywheel has been our favorite for a long time. This post will get a little technical, but the gist is that Flywheel is a fast, secure, and reliable host for WordPress sites. We want our clients’ sites to run smoothly, and Flywheel helps us do that. Let’s look at a few of the reasons we love Flywheel, and why we think you’ll love them too. Note: this post contains affiliate links. If you click one and buy, we receive a small commission. But, you don’t pay any extra! We recommend hosts because of their quality, not because of the referral fees. Any time you’re dealing with the Internet, you need to think about security. And Flywheel does. They offer hardened servers, malware scanning, and malware removal. They also make it free and easy to add SSL/TLS to a website, with their Simple SSL Add-on. Whenever a new version of WordPress comes out, Flywheel automatically updates WordPress core on your site. Now, WordPress itself will automatically install minor updates, but Flywheel handles major releases too. Flywheel doesn’t update plugins or themes, so you still need to do that yourself (or have OptimWise handle it). Flywheel automatically backs up your site every day. You can also manually create a backup any time. You can restore any backup in a couple minutes or less. Site speed matters, and Flywheel delivers. Their servers are tuned for WordPress performance. They cache at the server level, so you don’t need to mess with caching plugins. When you create or migrate your site, you can choose the datacenter in which your site will reside. In general, the closer it is to your website’s visitors, the faster your site will be for them. 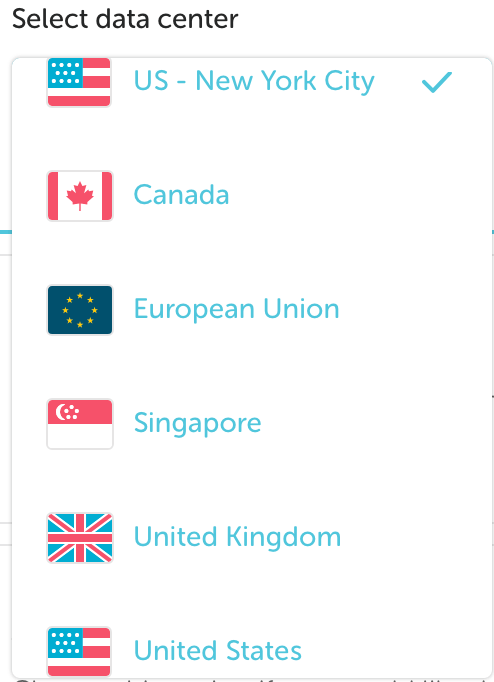 Flywheel has server locations in the US, Canada, UK, EU, and Singapore. Many web hosts limit the amount of traffic (hits, visits, etc.) your site can receive. Then they either take your site down temporarily or charge you hefty fees for the overage. That doesn’t happen with Flywheel. If you exceed the number of visits allowed in your plan, Flywheel will politely inform you and ask you to upgrade your plan. Flywheel lets you create demo sites, and provides free hosting of them for two weeks. So we can create a website on the same server that it will run on when it launches. And our client can continue to use that same server after we transfer the billing to them. It’s much simpler than migrating a website between multiple servers. Flywheel will migrate your site for free from another host, or from WordPress.com, or even from a ZIP file. You can also change your site URL/address in the process. Flywheel lets you clone any website in your account. That makes it easy to create copies, for businesses that want multiple similar websites. Flywheel also lets you create a private copy of your website. This is useful for testing updates or making changes before you’re ready to work on your live site. You can also copy your staging site over to the live site to avoid rework. Flywheel is a fantastic host, but it’s not flawless. There are a couple areas in which Flywheel could use improvement. Flywheel’s email support is slower than most managed WordPress hosts. You can send a support email and then wait several hours (sometimes over 24 hours) for a reply. Live chat is faster, but it’s only available during Flywheel’s business hours (Monday through Friday, 9 AM – 5 PM Central Time). Flywheel will reply to support tickets faster if your problem is an emergency. I like how fast SiteGround is to reply, even to support tickets. Migrations take 1-3 business days, unless you pay $49 to have the migration completed in under 8 business hours. I like WP Engine‘s automated migration, which is much faster. You wouldn’t buy an underpowered, unreliable jalopy as a business vehicle, would you? Neither should you put your business website on an underpowered, unreliable host. Invest in solid WordPress hosting like Flywheel. If you’d like help moving your website to Flywheel, or maintaining it once it’s there, please contact us. We love them too! Don’t forget to mention Flywheel Local though. Great tool.